We are all taught at a young age the physical aspects of ‘health.’ We know it is important to exercise and to maintain a balanced diet. On the other hand, it takes much longer to grasp the mental benefits of these aspects of our lives. Both play an equally important and intertwined role in our all-around health, and it is essential that we instill these values in our children as early as possible. Specifically, for parents with a young child struggling through chronic health conditions, including obesity, diabetes, ADHD, anxiety and other challenges, Dr. Rachana D. Shah, an endocrinologist at the Children’s Hospital of Philadelphia, says exercise is an incredibly important tool for managing those conditions. Our organization is an option for structured activity accessible to almost any child, regardless of fitness level and other health challenges. For many of our runners, this is their first experience with structured athletics or physical activities. At a young age, we encourage participants to live an active lifestyle through goal setting and dedication. In this way, it can be a gateway into healthy habits in all aspects of their lives. Many of our former runners continue running in longer races as they get older. Others become involved in other sports or activities where they continue a healthy lifestyle. When we see this evolution, we know our program has served its purpose! 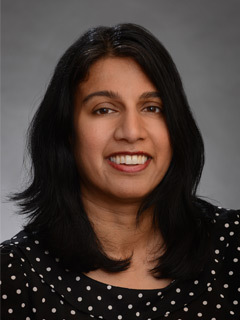 Dr. Rachana D. Shah, MD, MsTR, is an attending physician at Children’s Hospital of Philadelphia who specializes in treating children with diabetes, hyperinsulinism and endocrinology disorders. She also helps head the Healthy Weight Program within CHOP.